Happy Monday! We here at The Perfect Details have always been enamored by French food. They are the experts in featuring local and seasonal food, particularly focusing on regions of France. Rouquefort cheese, Isigny Beurre de Baratte butter, Dijon mustard, quiche lorainne and the list goes on. We found some of our favorite French bites to feature for your wedding cocktail hour. Vive la France ! Bon appétit! Gougères - or a French cheese puff, are easy to make and impressive to serve at a cocktail hour. You can personalize them using a local cheese so personalize them for your wedding. The combinations are endless! 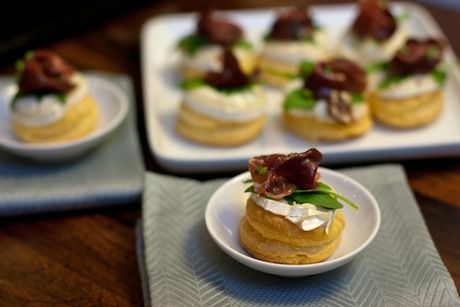 These warm goat cheese and smoked duck canapé are a great way to showcase two deliciously French items - goat cheese and duck. Nom nom! We love this stunning presentation of foie gras and black currant. Très bien! 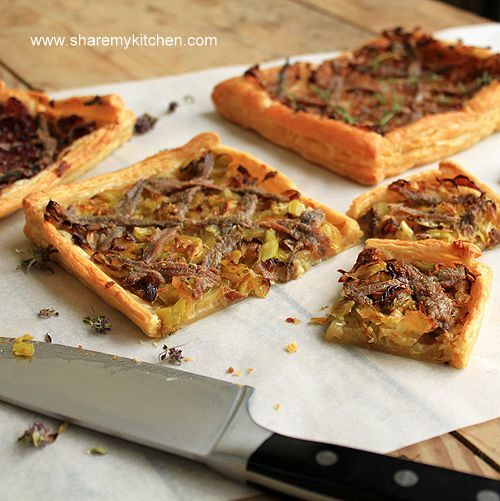 Pissaladière is best described as a focaccia/pizza base with caramelized onions, anchovy and onion. Sometimes cheese is added. It make a tasty appetizer to have with a cocktail! 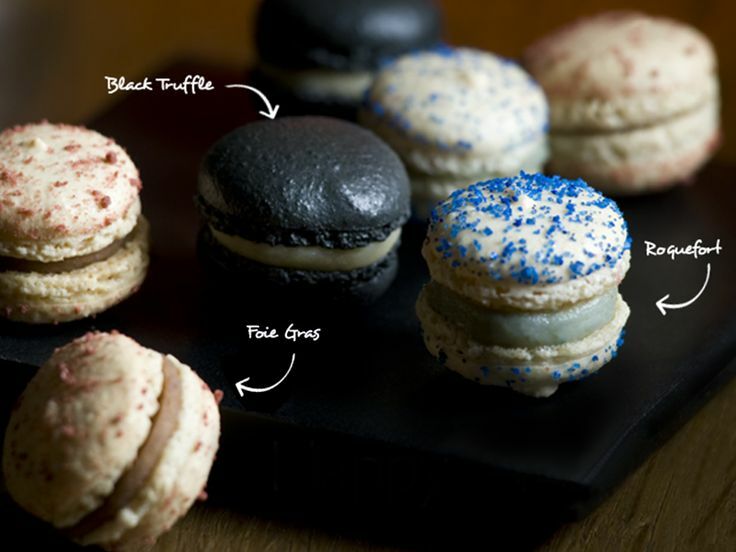 We think these savory macarons by Richart Chocolates are just genius - Foie Gras, Roquefort Cheese and Black Truffle would be so intriguing and quite possibly the show stopper at your cocktail hour! 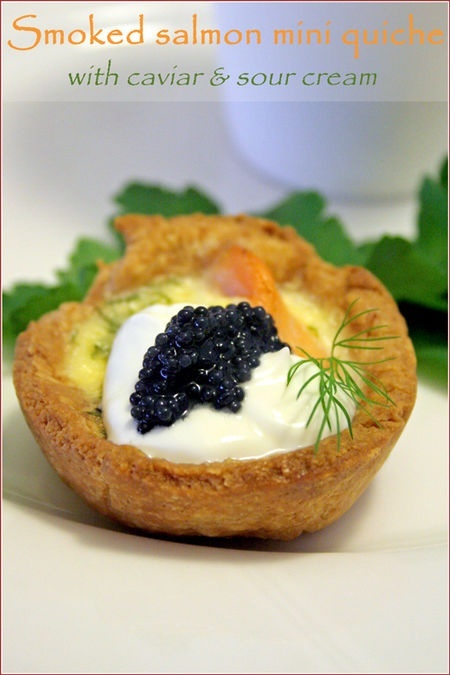 This mini quiche topped with smoked salmon and caviar is beautiful and festive - perfect for a wedding! This edible French flag represents delicious bites of France - grapes (wine), Brie cheese and Roquefort. We think with a little re-engineering this concept this would make a perfect presentation at your cocktail hour! Dear Donna: I need Wedding Gift Advice!